We love the fact that you can add lots of realistic touches to dolls' houses. 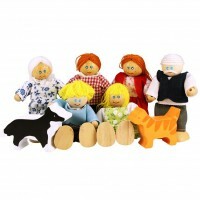 These beautiful wooden families make perfect tenants for any little girl's dolls house. 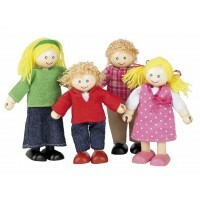 We have a diverse selection and even have some grandparents for an extended family. Our entire range is accessorised with colourful and durable clothing and feature flexible limbs, which means they can fit it most rooms of most houses. 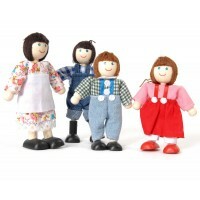 We're sure children will love our wooden dolls selection and will be delighted to move them into their new home.